A magnificent residence of the nobility with intimacy more than exclusive. 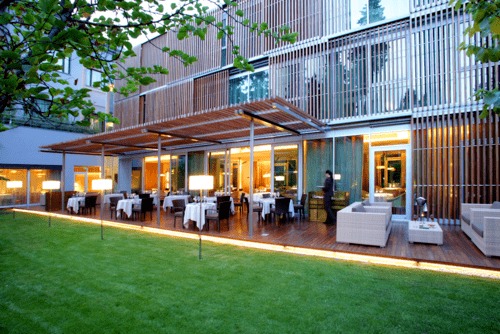 A unique environment with a sumptuous and large garden located directly in the city center of Barcelona. 15 Elegant rooms of exquisite design have all the services of a luxury hotel. The cuisine and dishes are internationally recognized. At the ABaC Restaurant & Hotel, we attach special recognition to the requirements of our customers.